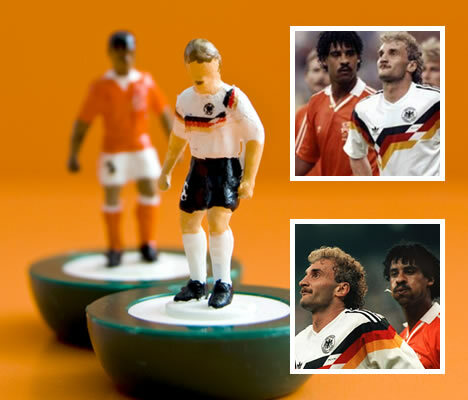 I'm sure every football fan, at least in Europe, has owned a set of Subbuteo at one time or the other. 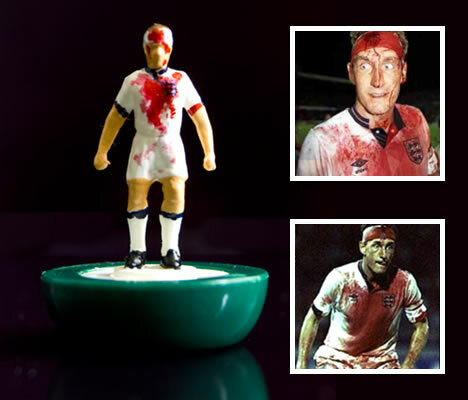 For anyone that does not know, Subbuteo is a hugely popular table football game that involves the flicking of a miniature footballer and eventually scoring a goal. 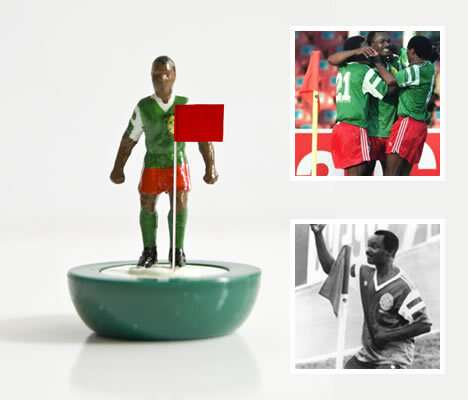 Subbuteo is much more than just a game, I loved it, when I was young. 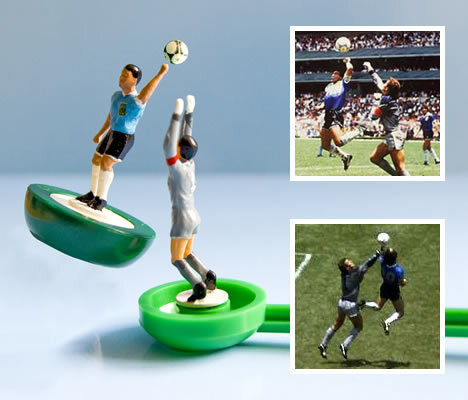 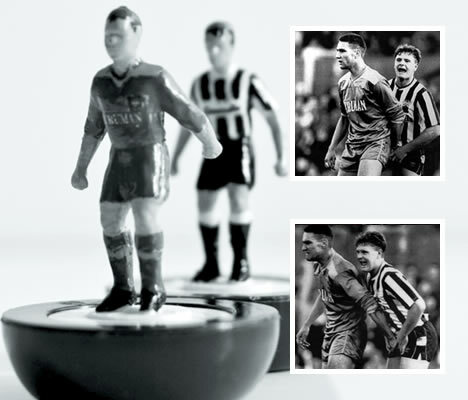 Below you will find some infamous moments in football recreated with Subbuteo. 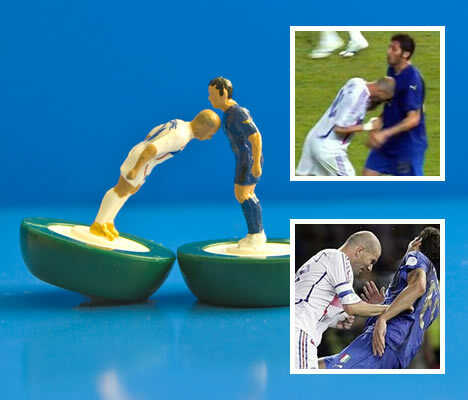 ALL credit for these images goes to Paolo Camera.